http://www.youtube.com/user/draxtordespres Drax, yes that Drax, of Flufee fame and the hyper German on Metarality has begun a new project. The Drax Files will be monthly Youtube interviews with creative people in SL. Drax’s Mechinima alone are worth a look, but the first interview is with Kriss Lehmann, the RL person behind Botanical, in my opinion the premiere creator of trees and landscaping in SL. Drax mostly lets Kriss tell his story, filling the screen with Mechinima of the Botanical sim and RL via Skype. Well done Drax, we look forward to more of the same! http://www.virtualvision2020.com/ Virtual Vision 2020 is an ongoing attempt to understand, foster and cultivate community in SL. 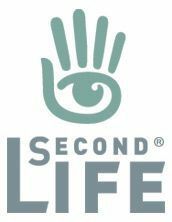 Their current project is a request for literary submissions involving a Legend of Second Life, they would like to develop a (or several) prehistory, kind of a mythology of SL. An inspired idea. Visit their site, take the surveys, they are short, but thought provoking. If you are so inspired, submit a legend, you only have until March 31 so don’t procrastinate! Many thanks to Inara Pey at http://modemworld.wordpress.com/ and Gianna Borgnine at http://metarealitypodcast.com/ for the heads up.